The Play! 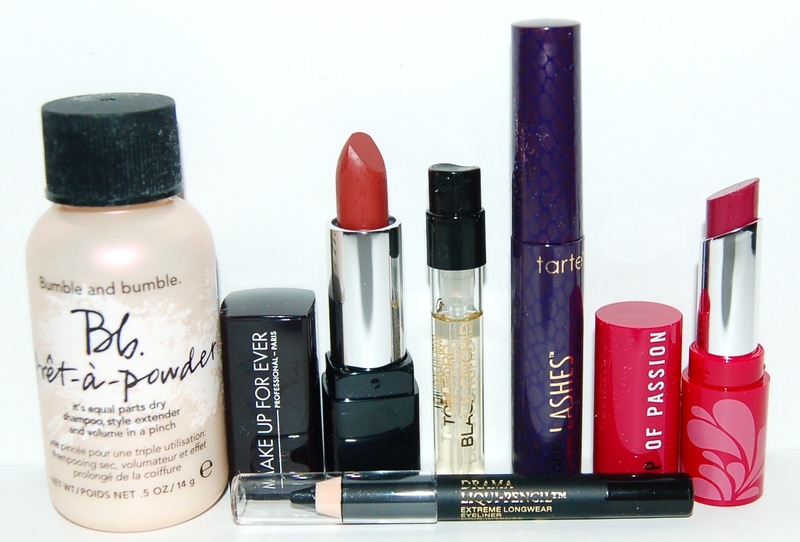 By Sephora beauty subscription box is $10 a month and contains 6 high end deluxe sized beauty samples. 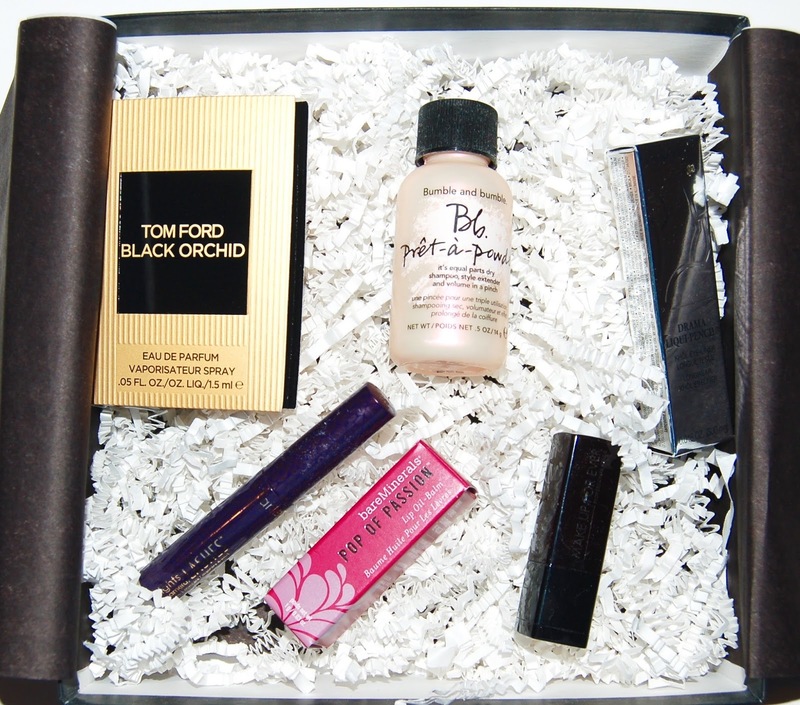 Every sample included in this box is a brand that is sold at Sephora. I believe that there is still a waiting list to sign up right now, but you can try to sign up on the Sephora site HERE. The box comes with a booklet which contains fun facts about every item included in the box. 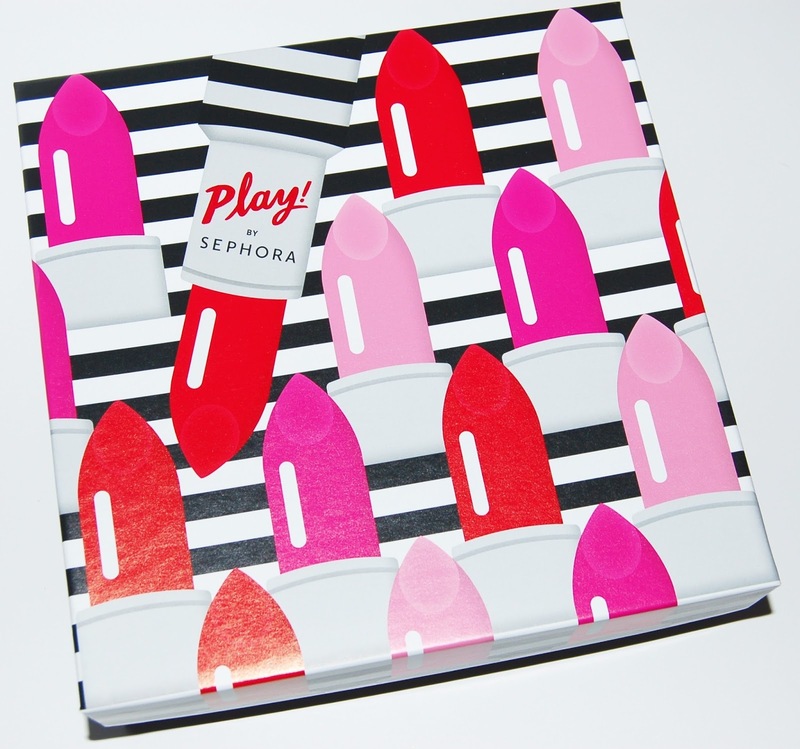 On the last page of the booklet there is a coupon which gives you 50 Beauty Insider Points with any purchase in a Sephora store. Here's what was in my February box. These lip balms are made with maracuja oil which if you haven't heard has anti-aging and moisturizing benefits. I received the shade Plumberry Pop which is a very pretty berry shade. I really love this lippie! It's super soft and feels very moisturizing on the lips. This is a long-wearing black eyeliner. I have a million black eyeliners so I'll be passing this along. This is a dry shampoo, volumizer, and style extender that absorbs oil and adds lift to the hair. I actually don't like dry shampoo or anything like it so I won't get much use out of this. I already have a sample of this shade of lipstick from Sephora so I'm not thrilled to get the same exact shade months later. I have a few samples of this already so I'm not thrileld to have received this in my box either. In fact, it seems like this particular mascara sample is easily available. This perfume features scents that are sultry woods, rich fruit, and black orchid. The scent is VERY strong and I don't like it at all. Overall I thought the February Play! by Sephora box was just ok. It is nice to get a lipstick sample from MUFE and mini eyeliner from Lancome, I guess it's my own fault for not being excited about them. I'm really only excited about the Bare Minerals lip balm. You can sign up for this subscription service HERE. What did you think of this month's Play! by Sephora box?